Home >> Generated from JAN's SOAR Information System on 4/26/2019 3:41:14 AM. 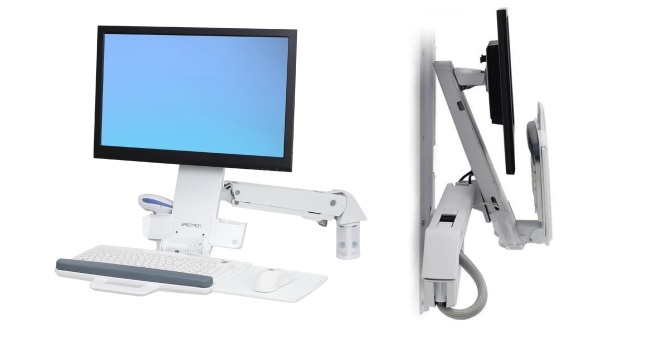 Work sitting or standing with 20" (51 cm) single-motion lift adjustment. Five-inch (12.7 cm) independent LCD height adjustment ergonomically accommodates individual users. Extend LCD and keyboard up to 39.75" (101 cm) from wall. With keyboard in storage position, system depth is as little as 12" (30 cm).